Diamond Details: 2 patented L'Amour Crisscut white diamonds on the sides of of E color, VS1 clarity weighing .69 carat total and ideal cut and brilliance. 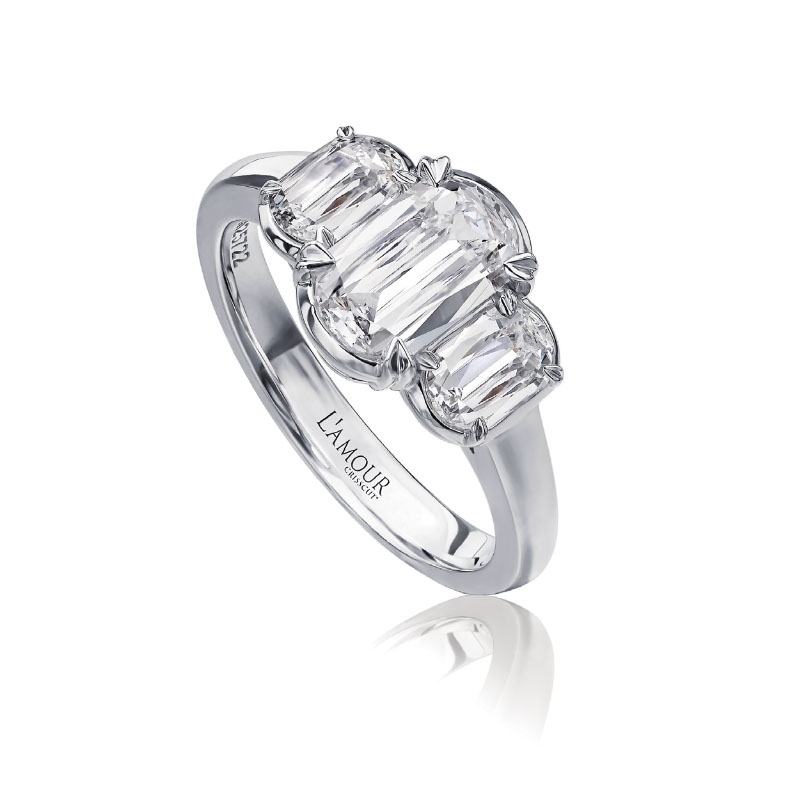 Ring Details: Christopher designs 18k white gold three stone engagement ring setting. Accommodates a 1.05 carat center stone. This spectacular Christopher designs 18k white gold engagement ring setting, features 2 patented L'Amour crisscut white diamonds on the sides of E color, VS1 clarity weighing .69 carat total. This setting can accommodate a 1.05 carat center stone. The price does not include the center stone. Available upon request but sold separately. Each Christopher Designs ring is hand made with diamonds carefully selected and cut to maximize the beauty of each individual piece. Pricing will vary on out of stock items. Please inquire on current pricing, availability and product specifics before ordering.